The blend of Southwestern spices give it a wonderful burst of flavor. 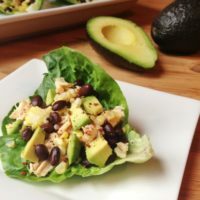 I have always loved the flavor profiles of Southwestern food, and those flavors, along with the avocados, chicken, corn and black beans make a delicious healthy meal that doesn’t sacrifice flavor. The recipe is simple and only takes a few minutes to throw together. Cooking and cubing the chicken takes the longest. 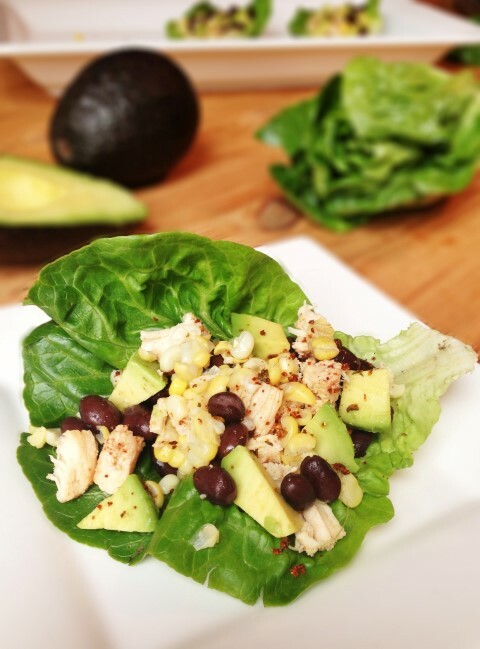 While the chicken is cooking, throw the corn, black beans and avocados together in a bowl. Mix in the spices and a bit of lemon juice. The taste of the lemon juice will not be noticeable, but it brightens up all the flavors. Lastly, add the cooked chicken and spoon into large lettuce leaves. Bingo, a delicious meal you can feel good about eating. 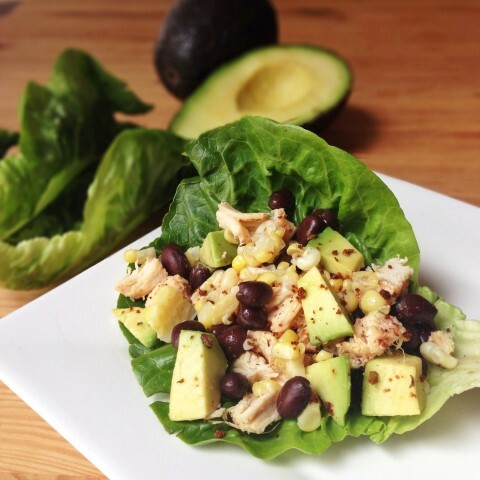 Avocados, chicken, corn and black beans pair well with a blend of southwestern spices for a quick, healthy lunch or dinner. Feel free to change the spice levels to suite your own taste buds. Salt and pepper your chicken and cook in a skillet over medium-high heat until cooked through. Dice and let cool. Meanwhile combine corn, black beans, avocado, onion, chili powder, cumin and garlic in a medium bowl. Stir in lemon juice. Add cooled chicken. Carefully separate the lettuce leaves. Wash and pat them dry. Spoon the chicken mixture into the lettuce leaves, wrap it up like you would a tortilla and enjoy! I don’t think that I have ever tried avocado. This looks really nice. It would be perfect for those lazy days of summer that are about to come…. Thanks, Sharon. Avocados are delicious in so many different ways. They’re good for you too! I love anything with avocado! 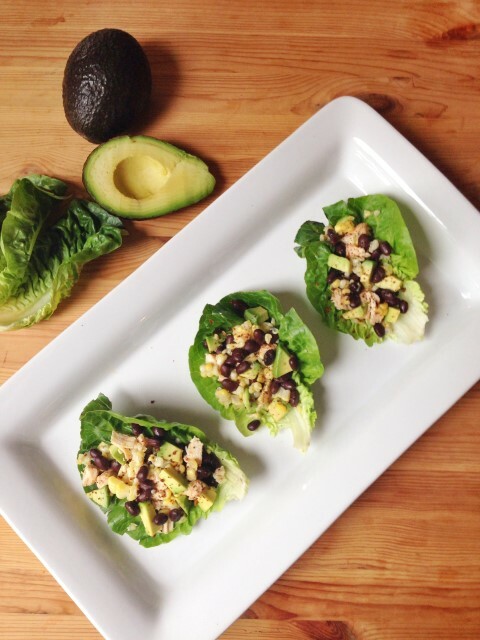 These wraps sound awesome — and I love that you’ve built them on lettuce leaves … so tasty. What a fun, healthy meal! I love that these are a lettuce wrap. Means I can have more! Hi Mallory! I’m stopping over from Let’s Get Real today. As everyone has said, these lettuce wraps look really delicious. They are perfect for summer picnics. 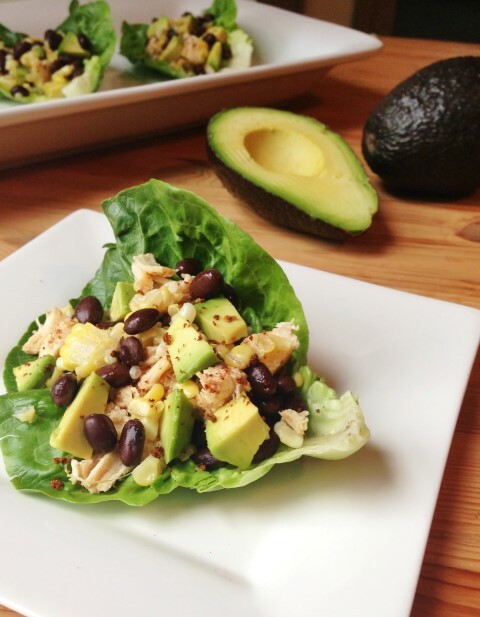 Since they combine two of my current obsessions……….black beans and avocado………there is no way I can resist giving them a try. Hi Mallory – This looks delicious! Thanks so much for sharing with the Let’s Get Real Party. I am pinning it to our group Pinterest board. I’m no cook or baker but we try to eat heathy. I will surely make these lettuce wraps! New to your site. Do you have a good recipe for hummus. I’ve tried several I found at different sites but we haven’t found the ‘perfect’ one! Thanks. Here is a link to the hummus recipe I like. http://lilluna.com/homemade-hummus-recipe/ I don’t put near as much garlic in. It’s way to garlicky for me. I am still experimenting with finding the perfect recipe too. If I ever create it, I will have to share it. Thanks for the suggestion.